You are here: Home / Buyer Information / Advice for Buyers When the Real Estate Market is HOT! Advice for Buyers When the Real Estate Market is HOT! Do you Have A House to Sell? What’s My Maryland Home Worth? Before I even begin, let me give you a word picture to get you in the right frame of mind: You set out on a nice day-trip from Frederick County, to visit some sights in Washington D.C. You know, take in some monuments or the Smithsonian. You head south at a nice leisurely pace, because, you know…Frederick County. As you get deeper into Montgomery County, you notice the traffic picks up, but that’s ok. You can maneuver just fine in the right lane, pass a slow-poke here and there. Eventually, though, you’re going to have to face I-270, or the “Big-Ugly”, and then the beltway…I-495. 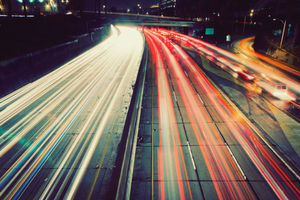 As you merge into oncoming traffic, it can feel like you’re about to enter the Indy-500…cars are whizzing by.. You (should) realize that if you don’t step into it, you’ll end up in a ditch. Entering into a hot real estate market is very much like a NASCAR driver coming out of a pit stop at top speed. When competition is high and the number of available homes are low, you must be ready for a fast-paced market. You have to be ready to act quickly and decisively. You Must Bring Your A-Game! What does it mean to bring your A-Game? When buyers know what to expect in the market, they are better equipped to get the house they want. When they don’t give heed to their agent’s advice, we (agents) often resign ourselves to the fact that we’re going to write a couple of offers with them. We’ll watch them lose out a couple of times in a competitive market. 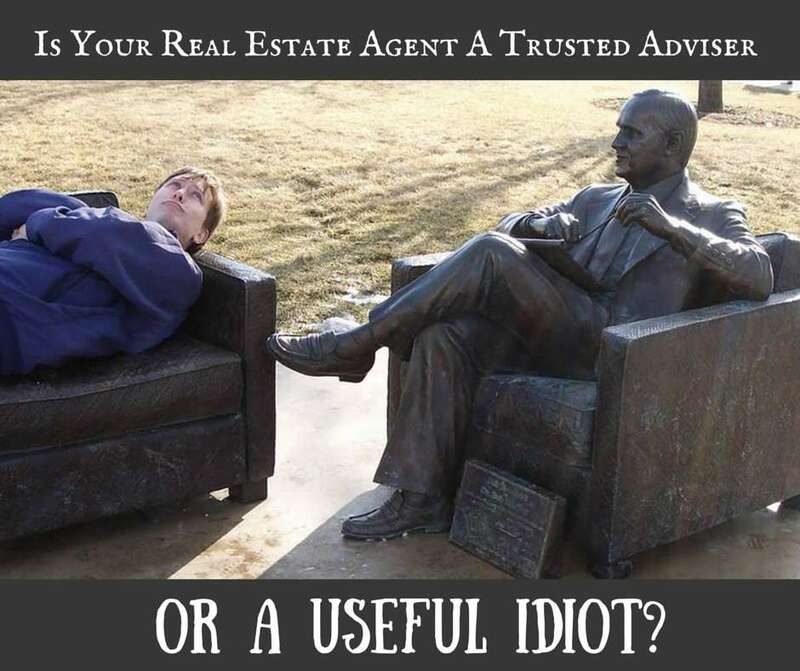 Tip: If you believe that your agent is unqualified to provide you with strategic advice, get a different agent. We get it. You need to learn to trust us. We will work hard to earn your trust. We know that often, the third time is a charm. (Most of us figure it out by then, no matter what we’re trying to accomplish.) In a hot market, the best homes, when priced well, will go in days. And they’ll most likely have multiple offers. That’s the way it is. Lynn Pineda, real estate agent and blogger in South Florida agrees with me. “When you locate a home that meets your wants and needs, don’t lollygag…” in her blog post, How to Buy a Home in a Seller’s Market. Angela Duong, Northern Utah real estate agent, in her article 13 Things Buyers Need to Know in a Seller’s Market, has some good tips, like staying flexible and creative. Thinking outside the box can help you win in a competitive situation. 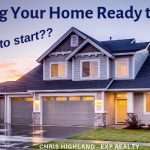 In his article Buying a Home in a Seller’s Market, Kyle Hiscock, real estate agent in Rochester NY, points out several considerations buyers should make to help them decide whether buying a home during a sellers market makes sense. When you might face a multiple offer situation, you need to have every advantage. We advise buyers to speak to a local lender (we know a few good ones) before you even start your house hunting. Start the approval process. 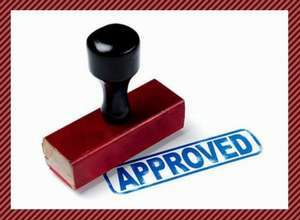 Get your paperwork to the lender and at the very least get a pre-qualification…preferably even a pre-approval. When a seller gets a number offers and one of them is from a buyer who is already approved, that buyer stands out and is a safer bet for the seller. Take the time to talk to a lender before you begin. You’ll know what you can afford, and you’ll know which loan product is right for you and for each situation. Take time to get your A-game on. What about cash offers? It’s true, sometimes you’ll get beat out by a cash offer. But not always. It depends on the offer and the situation. As long as it’s within the seller’s expected price range, the cash offer will often be the winner. Everyone has different motivations, and they all play out in the negotiations. Debbie Drummond, Las Vegas Luxury Real Estate Pro, makes a great case for why lowball offers don’t work, especially in a competitive market: Low Ball Offers in Real Estate – Do They Ever Work? In his article Seven Reasons Why Your Offer Was Rejected, Xavier DeBuck, Johannesburg real estate agent, shares what valuable lessons buyers can learn from rejected offers. 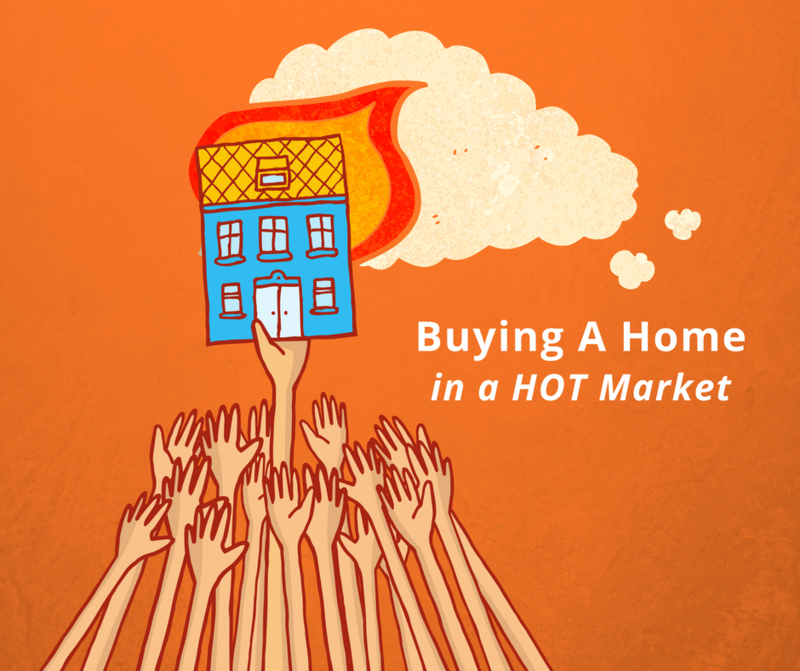 In a hot market, you will find yourself competing with buyers who don’t have a house to sell. 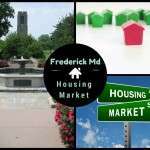 Certainly, the competition is steep in price ranges below the median, which is about $300,000 in Frederick County right now. Often, in the move-up price ranges, you will find other buyers putting their best foot forward. They may already have their home listed, maybe even already sold. Again, you’ll want to have every advantage on your side. We advise having your home listed on the market, or at the very least scheduled to go on the market within a certain time frame. 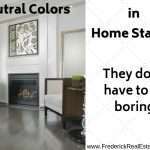 Better yet, having the home sold gives you an even greater advantage. In a market with high demand, you can rest assured that your home will probably sell, given it’s in good condition and priced well for the market. We understand that it is difficult to sell and buy at the same time. But remember, an experienced real estate agent has been helping people buy and sell for years, day in and day out, in all kinds of markets. We can help you thread that needle and maneuver through the process with the best possible results. A prepared buyer is at an advantage when buying a home in a hot seller’s market. Bill Gassett, Realtor in Greater Metrowest MA, has 20 tips for buyers in his article, 20 Things to Do Before Buying a House. The average consumer buys and sells a home every seven years. Therefore, it’s likely that each time they buy or sell, the market is different, so their previous experience is often not relevant to the current market. An industry expert has helped people buy and sell hundreds of times, in all kinds of situations. Find a buyer’s agent who you can trust to guide you through the process. Your agent wants to be your trusted adviser, because they don’t win unless you win. In fact, they don’t even get paid unless you win! Work with an agent you have confidence in. If you aren’t convinced that they know how to navigate the rapids of a hot market, then move on. You need to work with someone you can trust. The agent needs to inspire your trust in their knowledge and experience. Make sure they can help you get where you want to go, no matter what the current market looks like. You need to trust that they are giving their best to help you win. You need to trust their advice. Get a good referral. Ask friends, co-workers and, yes, even family. 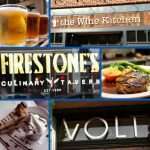 Read online reviews and do your homework. This is probably the most expensive purchase most people make in their lifetime. Choose a trusted adviser. Choose wisely. Interview agents about their understanding of the current trends in the market. Are they familiar with the inventory, time on the market, and year over year trends? Your local real estate market is always changing. A veteran buyer’s agent has helped homebuyers in many different types of markets, whether a buyer’s market or a seller’s market, or transitioning markets. They will negotiate on your behalf. They represent your best interest. The best part is, the seller pays for the buyer’s agent in most situations. 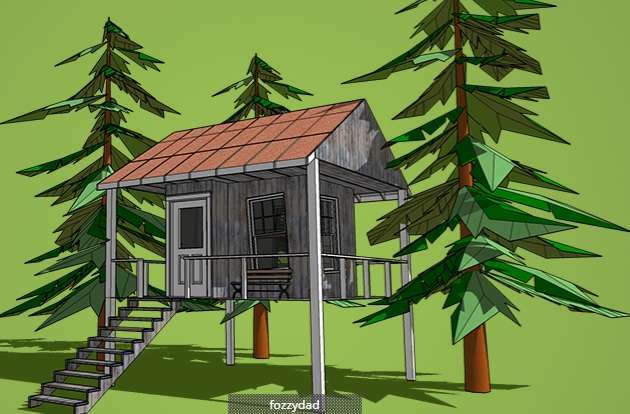 Today’s consumers have a huge number of resources at their disposal with the many real estate portals on the internet. They have handy apps and demographics at their fingertips. Many want to keep their anonymity until they are absolutely ready. Unfortunately, that anonymity costs them when they haven’t gotten ready to “merge onto the real estate highway.” They find the house they love, but they haven’t even talked to a lender. 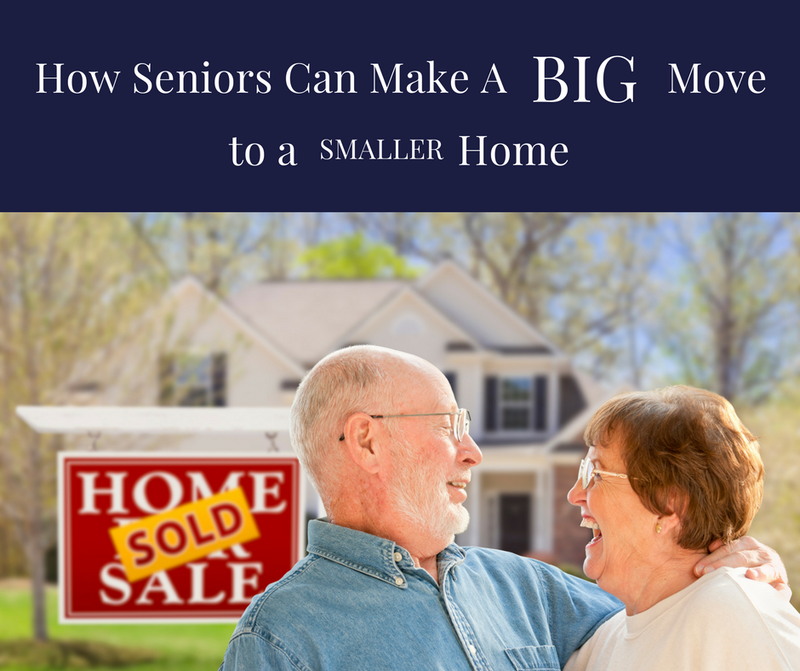 They don’t know what they qualify for, and if they have to sell their home first, they’re not ready. Real estate agent and blogger in Warner Robbins Georgia, Anita Clark, expands on the topic with Top 10 Reasons Buyers Need Representation. Buying and selling real estate is a process, not an event. There is no need to go it alone. You can take the advice of a buyer’s agent from the beginning. They can help you find the home that is right for you. Additionally, a buyer’s agent can help you get the loan product that is right for you. They can help you navigate through the best offer strategy. They can help you negotiate in a hot market. Let a buyer’s agent do the heavy lifting for you! 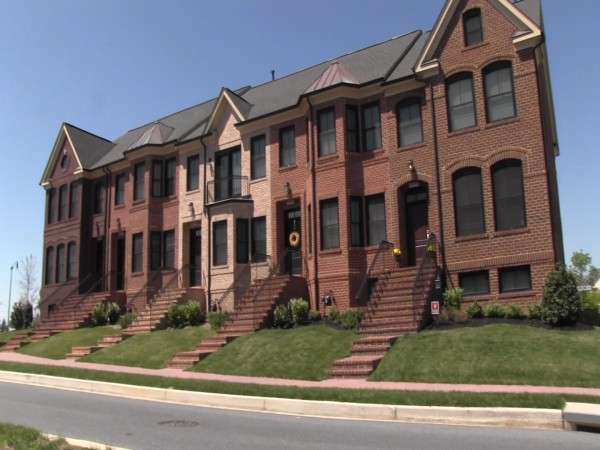 The Highland Group has over 25 years of experience helping homebuyers and homesellers in the Central Maryland Area. Our specialty is helping clients successfully navigate the ever-changing real estate journey. About the Author: The above Real Estate article, Advice for Buyers in a HOT Market was provided by Chris Highland. Chris is the Maryland Broker for eXp Realty. He can be reached via our contact form, or by phone at 301-401-5119. Chris has helped people move in and out of Central Maryland for the last 25+ Years. Thinking of selling your home? Put our team’s marketing expertise to work for you, to get your home sold. In many towns and cities across America right now (Spring 2017) the real estate market is HOT. Here's some advice from industry veterans for homebuyers in a hot market.